"New Media and Society is a breath of fresh air. 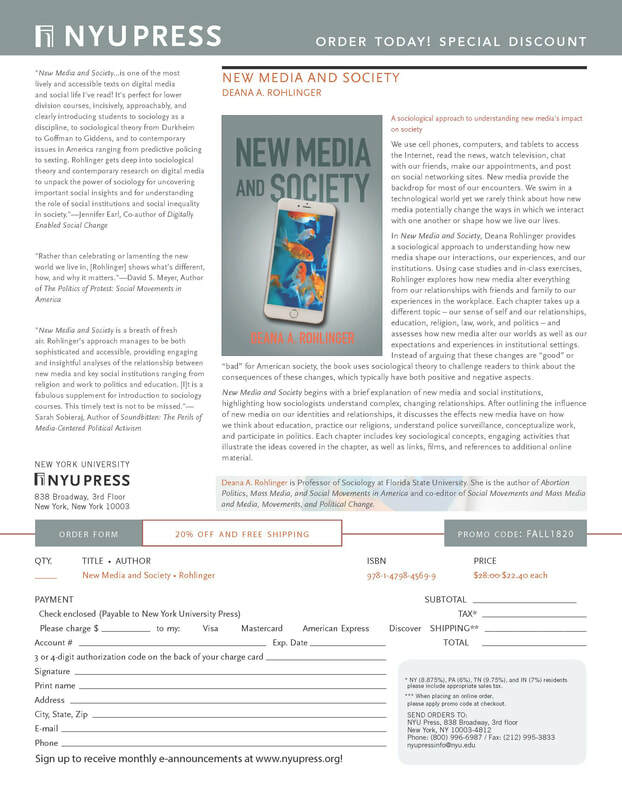 Rohlinger’s approach manages to be both sophisticated and accessible, providing engaging and insightful analyses of the relationship between new media and key social institutions ranging from religion and work to politics and education. Not only does it fill a gap in many sociological courses on media, it is a fabulous supplement for introduction to sociology courses. This timely text is not to be missed."